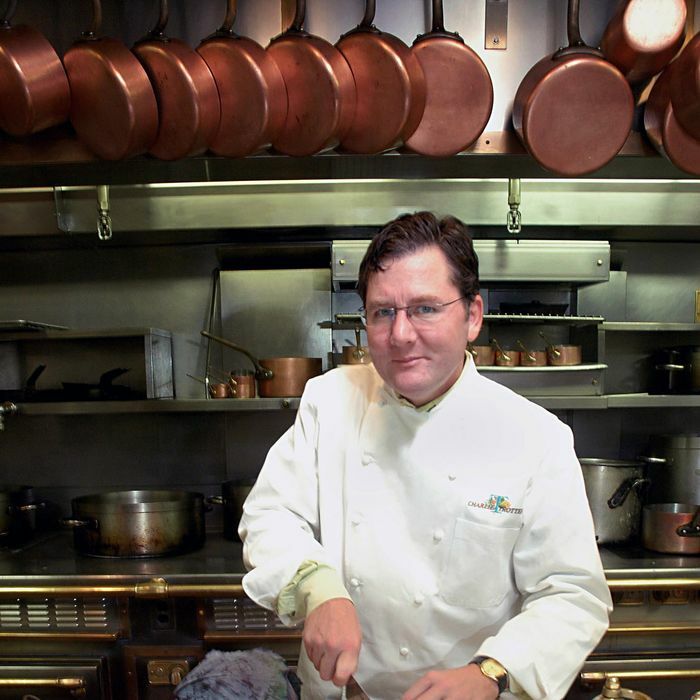 The chef Charlie Trotter closed his namesake restaurant in 2012 and had put the property up for sale before his sudden death in November 2013, but today at a press conference, family members announced that the space, on Chicago’s Armitage Avenue, will soon return as the home of the Trotter Project. The nonprofit organization was created by Trotter’s kitchen alumni and family members, and will provide culinary and nutritional education, host culinary events, and fund-raising dinners. In an interesting twist, it will also create a detailed “new restaurant online ratings system,” the Chicago Tribune reports. Homaro Cantu, a chef who was mentored by Trotter, is also involved. Cantu said the nonprofit would work to “find solutions for food deserts,” and current plans include building an indoor farm and a platform for the ratings system, which will be text-message-based and rely on instant feedback from customers. “It’s time Chicago did something huge,” he said.